Many web sites are now built by using multiple layers of a dynamic media platform – Flash. The TrueScreen technology by AlertSite tracks and monitors all user actions performed over Flash objects. Full support for Ajax-based applications. 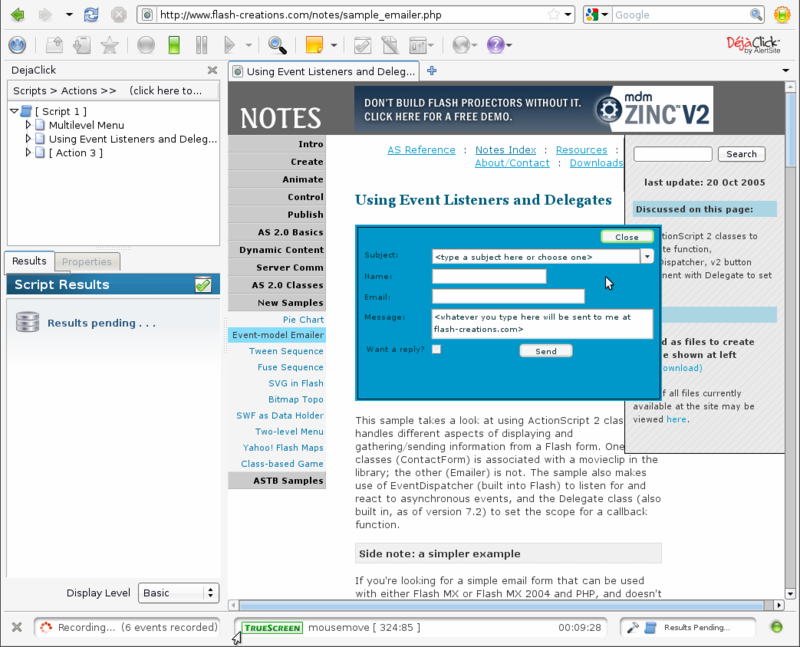 Recording and monitoring all user actions over Flash media, including clicks, dragging, keystrokes and mouseovers. Complete and accurate playback of user interactions with Flash objects. If you do not monitor your dynamic content, you may miss important information about the overall performance of your website application. In the Download TrueScreen section, click the Click to add button. In the appeared popup, click Allow. In the Software Installation dialog, click Install Now. Note the green TrueScreen logo in the status bar at the bottom. It indicates you are recording actions over a Flash object. Switch to the Record tab. Expand the TrueScreen Options section. 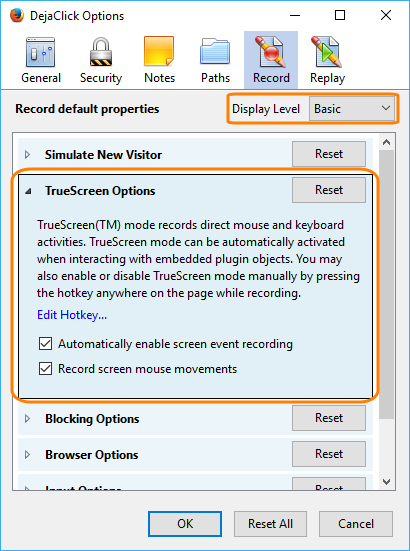 Clear the Automatically enable screen event recording check box. 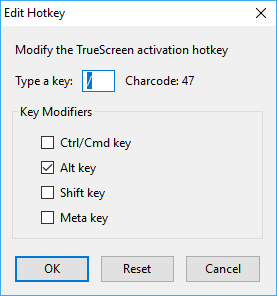 Click the Edit Hotkey... link to change the default shortcut (ALT+/). 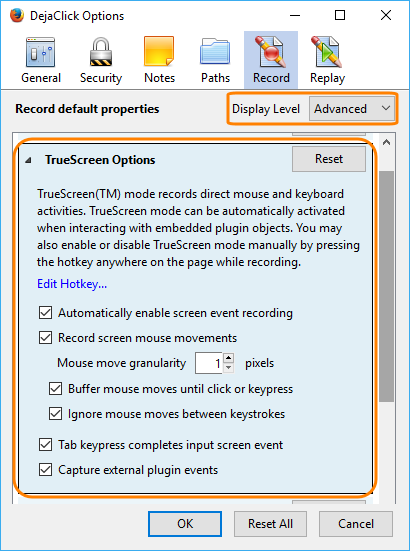 In the TrueScreen Options, click Reset.